If you have a great story or poem you want to submit but we are not collecting for that topic at this time, please save it and check back with us soon. Our list of Possible Books Topics is added to frequently and hopefully, in the near future, we will add a topic that will be a perfect fit for your story or poem. We prefer that you submit your stories only once, but if you believe your story fits in more than one book topic, please indicate which other topics you have submitted it for in the Comments line on the submission form. You can submit your story by going to the link at the bottom of the page. Thanks! Whether you write fiction or nonfiction, books or articles, paranormal or romance, the process is equally challenging. Thus, it's important to learn from others who have made the transition from dreaming about writing to being a writer. If this describes you, we want to hear about your setbacks, breakthroughs, and successes. How did you overcome writer's block? Who or what encouraged you when you were about to give up? When did you realize that your story was ready to be shared with the world? This is your opportunity to help other writers -- published and unpublished -- draw inspiration and learn from your journey to publication (including self-publishing and blogging). The deadline date for story and poem submissions is June 30, 2012. Throughout our lives we meet new people and social circles change. Sometimes we have to say goodbye to friends and make new connections. We are looking for stories about men and women making new friends. Whether it was a move, a divorce, or a friendship that failed, share your stories about finding new friends. What led you to form new relationships? How did you go about it? This book will encourage and support other adults who are looking to expand their circle of friends. Funny stories are great too. We are not looking for teen or preteen stories for this book, just stories from people over 18. The deadline date for story and poem submissions is March 31, 2012. They always say it's the best job and the worst job. But basically it's the best! We are looking for your stories about parenting - the hard work, the joy, the unconditional love, the funny times and the occasional sad ones too. Whether you're a new parent of one or an "experienced" parent of several, by birth, by marriage, by adoption, or by fostering, tell us your stories about parenthood. Funny stories, stories that will make us tear up, stories with nuggets of great advice - all your anecdotes are welcome. The deadline date for story and poem submissions is June 30, 2012. The indie publisher is gaining traction in our business, and that's good news for authors! Look at these indie publishers actively seeking submissions at the moment. 1. Martin Sisters Publishing is relatively new and open to non-fiction and fiction inspirational and Christian writing. 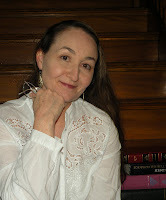 http://www.martinsisterspublishing.com/ Click on Aspiring Authors. 2. Secret Cravings Publishing is open to submissions for a new series called "Love On A Plane". As long as the story includes a plane (or air travel of some kind) and a happily-ever-after-ending, they want to see your manuscript. Any time period, any length. 3. Surely you've heard that e-monster Amazon is now in the publishing business, and we're not talking about their self-publishing avenue. In fact, there are six new lines at Amazon Publishing covering a wide range of genres. Would you like assistance with your submissions? Talk to me! We have several options and very reasonable rates. I will be in Huntington, West Virginia Monday, April 23 as a featured author at the Ohio River Festival of Books 2012. If your Huntington area group would like a workshop or book discussion with yours-truly while I'm in the neighborhood, contact me soon. I will be in Cincinnati, Ohio June 1-2 as a featured editor at the Lori Foster Reader and Author Get Together. If your Cincinnati area group would like to schedule a workshop or book discussion while I'm in the neighborhood, contact me soon.